Thick Jute A3 paper for inkjet printers (pack of 25 sheets). 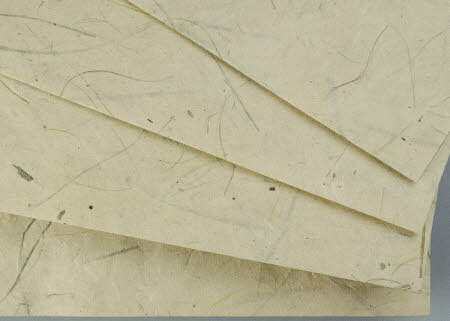 This light-coloured, heavy weight paper with green fibre inclusions is ideal for card-making and similar requirements. Strong and resilient, this cream-coloured, heavyweight 110 gsm paper is made from jute and lokta fibre. This is much thicker and heavier than the standard lokta papers.